On Saturday, July 23rd, the sun was shining (but not TOO much) and the hot dogs were sizzling on the BBQ as 30+ families of multiples descended on the Seattle Children’s PlayGarden! SFOM had private use of this incredible play space, filling the park with the happy commotion that a group of multiples always brings! 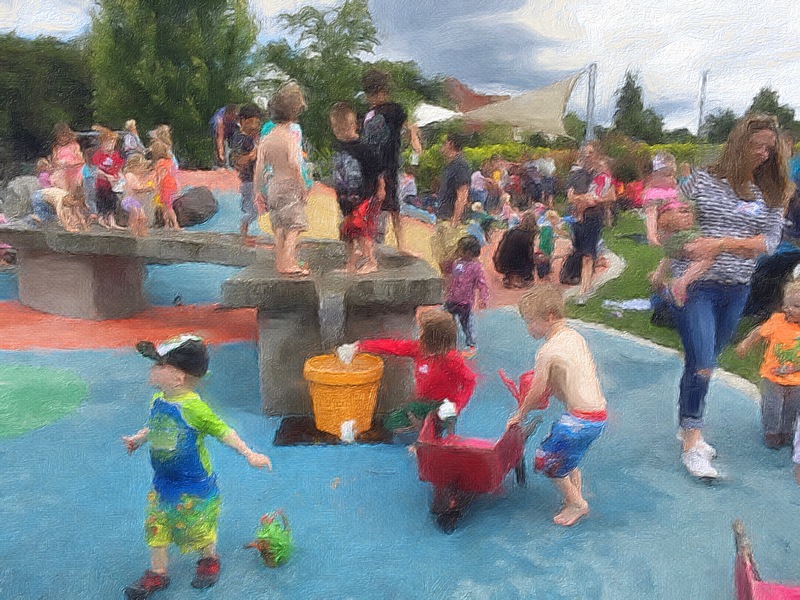 Kids of all ages floated toys down a creative water feature, preschoolers rode tricycles on the basketball court, toddler twins lined up to slide, big kids climbed up the tree house, infants chilled on blankets, and everyone visited the friendly chickens. Meanwhile, parents from all around the area had some time to chat and connect. Top that off with popsicles and ice cream, and it was another successful SFOM summer picnic! A great big thank-you to coordinators Tabitha Burns and Sarah Larsen for making this a memorable summer highlight.